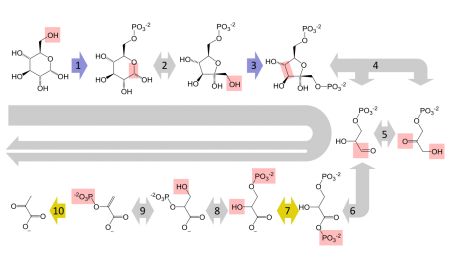 What Are The End Products Of Glycolysis? The end products of glycolysis are: pyruvic acid (pyruvate), adenosine triphosphate (ATP), reduced nicotinamide adenine dinucleotide (NADH), protons (hydrogen ions (H2+)), and water (H2O). Glycolysis is the first step of cellular respiration, the process by which a cell converts nutrients into energy. The term glycolysis is formed from two Greek words, glykys meaning sweet and lysis, meaning splitting. Therefore, glycolysis is the catabolic (splitting) pathway of sweet molecules; in this case, a carbohydrate monomer (typically glucose, although fructose can also enter the glycolysis pathway) is broken down into pyruvate. The breaking of bonds in converting glucose to pyruvate results in the release of energy which is used to produce a form of energy that can be used by cells, called adenosine triphosphate, or ATP. Glycolysis generally occurs in the cytosol of a cell, and occurs both aerobically (with the presence of oxygen) and anaerobically (without the presence of oxygen). The availability of oxygen determines the type of process that will occur after glycolysis, as will be discussed later in this article. Step 1: Glucose is phosphorylated. The phosphorylation of glucose forms glucose-6-phosphate, which is thus named because the glucose molecule is phosphorylated at the six carbon position. 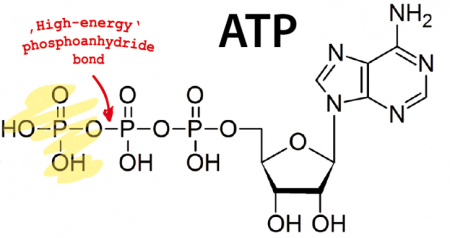 The phosphate group added to the glucose comes from ATP, causing the adenosine triphosphate (ATP) to be converted into adenosine diphosphate (ADP). This step is catalyzed by hexokinase. Step 2: Glucose-6-phosphate is isomerized into fructose-6-phosphate. This means that the glucose-6-phosphate is rearranged into fructose-6-phosphate by opening the ring structure (containing five carbon atoms) of the glucose-6-phosphate into a linear structure and then reforming the linear structure back into another ring structure that contains only four carbon atoms. This rearrangement is performed with the help of the enzyme called phosphohexose isomerase. Step 3: The fructose-6-phosphate molecule is further phosphorylated into fructose 1,6-bisphosphate. The phosphate added again comes from an ATP molecule, so another ADP molecule is formed. This step is catalyzed by the enzyme called phosphofructokinase. Step 4: The molecule fructose 1,6-bisphosphate is broken down into two parts, both of which contain three carbon atoms. 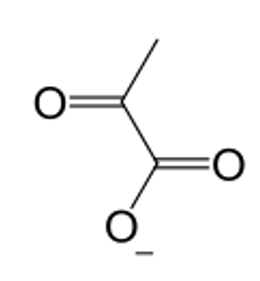 One of the parts is called glyceraldehyde-3-phosphate (blue line), and the other part is called dihydroxyacetone phosphate (green line). The breakdown of 1,6-bisphosphate into two parts is catalyzed by the enzyme called aldolase. Step 5: Since only the molecule glyceraldehyde-3-phosphate can continue in the reactions of the glycolysis pathway, dihydroxyacetone phosphate is rearranged into glyceraldehyde-3-phosphate by the enzyme called triose phosphate isomerase. Step 6: Having formed two molecules of glyceraldehyde-3-phosphate now, each of these molecules is oxidized while two molecules of NAD+ are reduced to two molecules of NADH. After being oxidized, each glyceraldehyde-3-phosphate molecule is phosphorylated to form a 1,3-bisphosphoglycerate molecule. The conversion of the glyceraldehyde-3-phosphate molecules to the 1,3-bisphosphoglycerate molecules is called oxidative phosphorylation. This step is catalyzed by the glyceraldehyde-3-phosphate dehydrogenase enzyme. 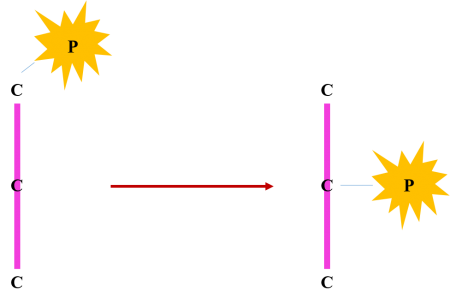 Step 7: The two molecules of 1,3-bisphosphoglycerate are converted into two molecules of 3-phosphoglycerate (purple line) with the help of the enzyme called phosphoglycerate kinase. This is accomplished by transferring one phosphate group from each molecule to ADP molecules to form two molecules of ATP. 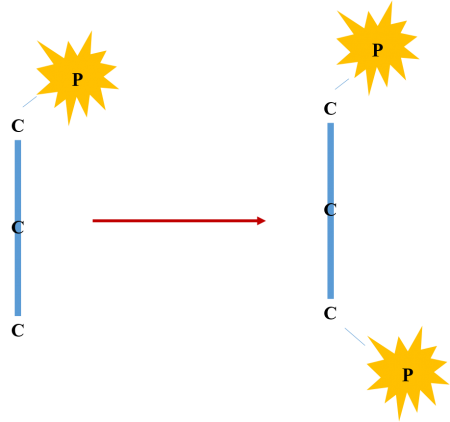 Step 8: The two 3-phosphoglycerate molecules become two molecules of 2-phosphoglycerate as the enzyme phosphoglycerate mutase moves the phosphate group from the third carbon atom to the second carbon atom of each molecule. 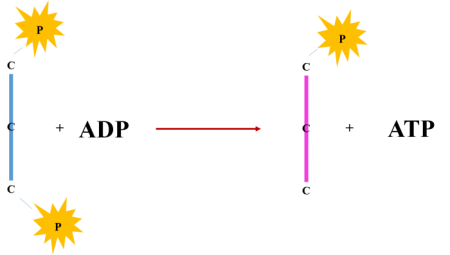 Step 9: The two molecules of 2-phosphoglycerate become two molecules of phosphoenolpyruvate (red line) as a water molecule is removed from each 2-phosphoglycerate molecule by the enzyme called enolase. Step 10: The two molecules of phosphoenolpyruvate are dephosphorylated to form two molecules of pyruvate, and the phosphate group of each molecule is added to ADP molecules to form two molecules of ATP. This reaction is catalyzed by the enzyme called pyruvate kinase. What Happens to the End Products of Glycolysis? In aerobic conditions, the presence of oxygen allows the pyruvate generated by glycolysis to enter the citric acid (or Krebs) cycle to continue its breakdown into more energy. Oxygen is needed as the final acceptor of electrons as part of this process. Oxygen is also required for NADH to be oxidized back into NAD+ in order for the glycolysis pathway to continue. This part of glucose breakdown occurs in the mitochondria of cells. In red blood cells, the glycolysis pathway, followed by lactic acid fermentation, is the source of energy; the citric acid cycle does not occur in red blood cells due to the absence of mitochondria. In anaerobic conditions where oxygen cannot act as the final electron acceptor, pyruvate is converted into lactate (lactate is the conjugate base of lactic acid) by the enzyme lactate dehydrogenase. During the conversion of pyruvate to lactate, NADH is also converted back into NAD+. This process is called lactic acid fermentation. It is the occurrence of this process in muscle cells once all of the oxygen has been consumed that causes muscles to cramp and experience pain. The pain is caused because the lactate generated accumulates in the blood before it can be removed. Another process, called ethanol fermentation, can be used to convert pyruvate to carbon dioxide and acetaldehyde; the acetaldehyde is reduced to ethanol by the NADH, which converts the NADH back into NAD+. The net ATP generated is, of course, used as a source of energy for various processes within the cell. 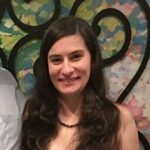 Jessica is currently writing her thesis to complete my Ph.D. in bioanalytical chemistry at the University of British Columbia. She plans to use her knowledge and experience in science and her writing skills to become a science writer professionally.